Johannesburg – ArcelorMittal South Africa [JSE: ACL] CEO Wim de Klerk will retire at the end of January 2018, the steel manufacturer said on Tuesday. According to a notice issued to shareholders, the company will start a process to find his successor. The board has agreed to De Klerk’s decision to retire, it said. De Klerk will continue to work on implementing various initiatives within the company and assist in ensuring a smooth transition until he retires, the note read. ArcelorMittal SA appointed De Klerk in May 2016, when the loss-making company was battling cheap imports and rising costs. He replaced Paul O’Flaherty, who resigned to pursue other interests, Fin24 previously reported. Under De Klerk’s leadership the manufacturer managed to conclude a steel agreement with Highveld Structural Mill and Evraz Highveld Steel & Vanadium. This resulted in the reopening of the Highveld heavy structural mill, making available the supply of locally produced structural steel products in the market. "On behalf of the board, we would like to thank Wim for his leadership of the company during this challenging period. We have made some important progress, notably with regard to the implementation of safeguards on some products to support the sustainability of the domestic industry,” said chairperson Mpho Makwana. “Challenges remain and we will commence with a search to appoint a new CEO who can continue to implement our strategy and structurally improve the performance of the business." In August ArcelorMittal SA announced cost-saving interventions, assessments of the profitability of various product lines and retrenchments in the next six months to address its challenges. These changes are subject to consultation between government and trade unions, the company said in a statement. 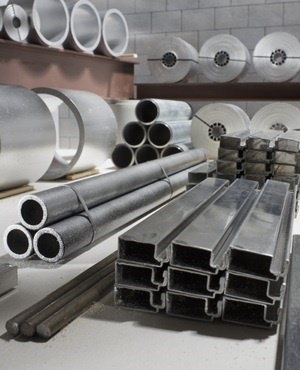 “The sustainability of the local steel industry and the prevention of job losses remains an important concern and the company will continue to engage its stakeholders to find collaborative and lasting solutions to the challenges faced by the industry,” ArcelorMittal said. The share was trading at R5.63 at 11:10.